We specialize in working closely with property managers and associations. We offer convenient billing to all associations. We are available 24 hours a day to make sure all your plumbing needs in every property are in good working condition. 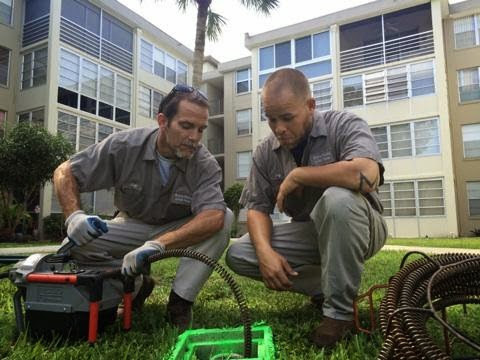 Our experienced technicians take the time to make sure the property managers and associations understand all their plumbing problems and options on how they can be resolved.Sunshine Plumbing believes that personalized advice and our loyalty to our customers sets us apart from the competition. We believe that “people expect good service but few are willing to give it” Sunshine Plumbing is willing to go that extra step to make our customers happy.